This is a delicious and fun way to impact a child’s life! A fundraiser benefiting the Center for Autism and Related Disorders at Kennedy Krieger Institute. Join us on Monday, April 1, 2019, at Tark’s Grill between 11 a.m. and 10 p.m. for our third annual Dine Out for Autism event and to celebrate Autism Awareness Month! 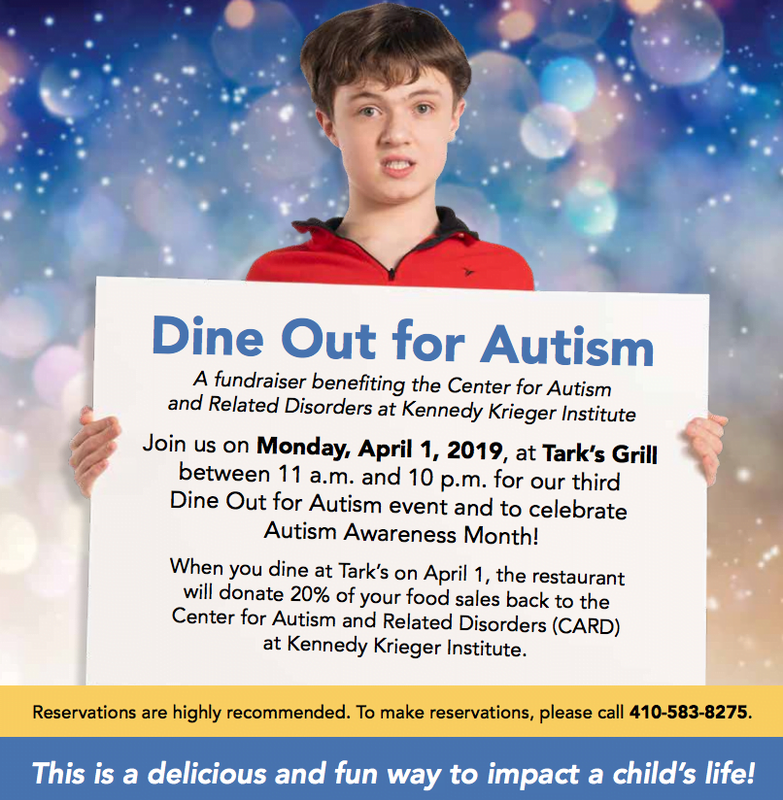 When you dine at Tark’s on April 1, the restaurant will donate 20% of your food sales back to the Center for Autism and Related Disorders (CARD) at Kennedy Krieger Institute.